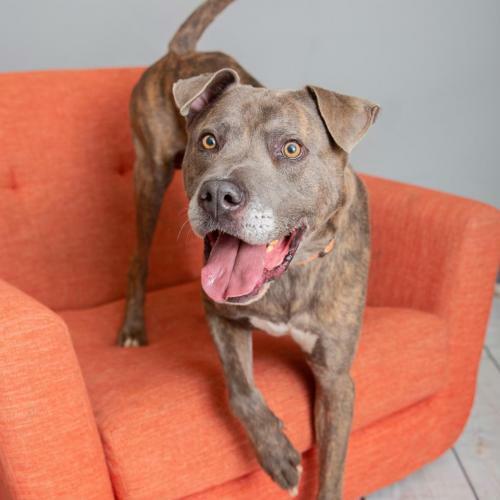 Titan is a very friendly boy who loves people and other dogs. This big goofball is still a puppy at heart. He loves affection and goes crazy for belly rubs. He is such a great dog!